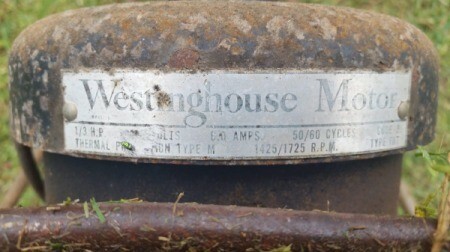 My sister-in-law has this electric push lawn mower with a Westinghouse motor. I have been trying to find out more about it and its value to see about selling it. It does run, she has a video of her mowing part of her yard to send to me. No other labels, etc. are available. Yes, I sell on EBay and had searched it and google. 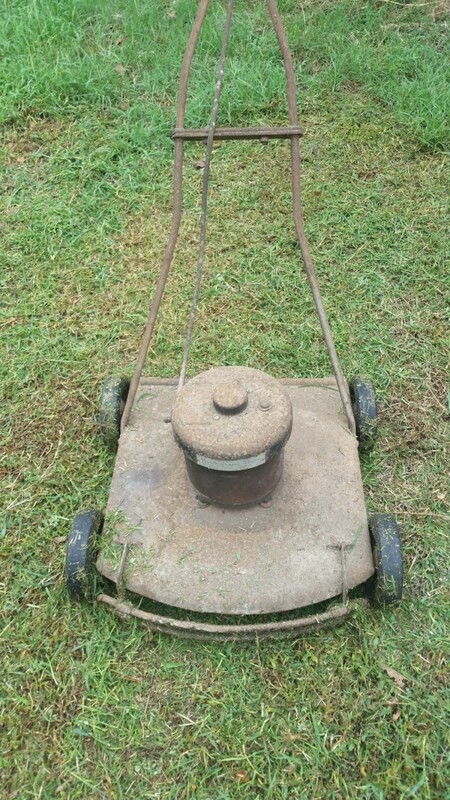 Then I started looking for forums that had people interested in old mowers, electric esp. The first step is to try to figure out the brand, so you can get an exact value. It will have to be an exact match to get a true value. That may be a challenge if the Westinghouse motor is not original. Sold will tell you what people are actually paying for the item. Never use actibve auctions to value your item as that only tells you what a seller thinks it is worth. Sellers are usually WRONG...sold tells you what someone actually paid. Generally speaking, lawn mowers are all over the place in value. I have found many are actually worth more for parts (meaning you take it apart and sell the parts) especially if the condition of the body is poor. 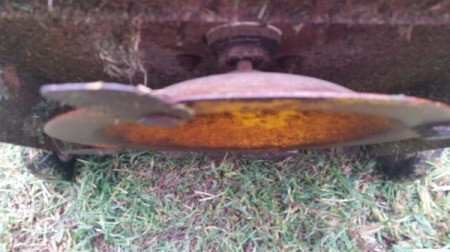 If someone just wants it to use on their grass (not as a mower to add to a collection), they are going to want to pay very little...under $30, and usually under $25. To get the most value, get a good ID, check eBay sold (or Google for other auctions) and try to market it for a collectible...not as a mower for your yard--unless you just want a quick sale and a few bucks! Good luck! Let us know what you learn!! I am awlays interested to learn about the old mowers! They bring back fond childhood memories of summer! Vintage mowers are difficult to place a value as there will never be 2 alike or maybe even similar because condition will always be different. I did find one that looks very similar but it is on a forum and listing was several years ago. They seem to believe it was made by MTD and could have been around 1974. MTD was sold by Western Auto at that time (long before joining Sears). 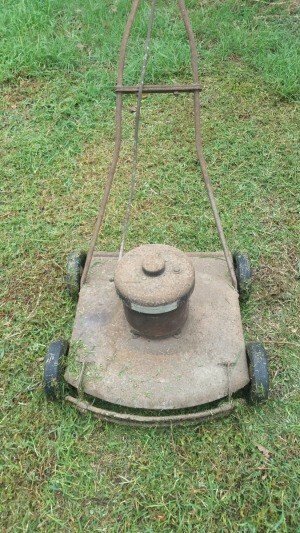 Take a look at this link as it is the only similar mower I could find. You may be able to ask your question at this site also.